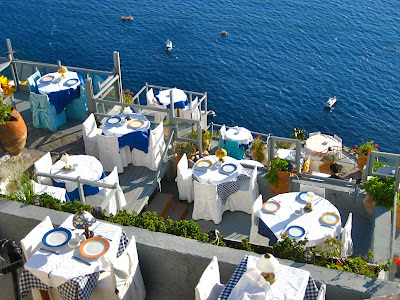 If I could eat lunch anywhere in the world today... it would be at this cliffside cafe in Santorini. Wouldn't that be just blissful?! I hope you have a wonderful weekend. Don't forget to turn your lights off at 8:30pm on Saturday for Earth Hour. Guerrilla knitters (the woolly warriors of London! )...really this is too funny. See their blog here. Learn about Earth Hour, and take part!